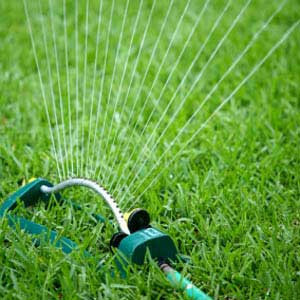 Water your new lawn immediately after installation using a sprinkler attached to a hose pipe. Pay particular attention to the edges and corners. Your sprinkler will need to be on for approximately 30 minutes on each area. Check under the middle of a turf to see if water has percolated through to the underside. Irrigate twice a day for the first week and once a day in the second week. Irrigate as necessary depending on weather conditions in the third and following weeks. Water areas near buildings and paths more often where reflected heat dries out the turf faster. Be aware that windy days will dry out the turf even more quickly. Turf is a living plant and requires as much T.L.C. as any other garden plant and more so in establishment. Avoid walking on the turf while you lawn is establishing, when moving your sprinkler use planks to spread your weight across the area. 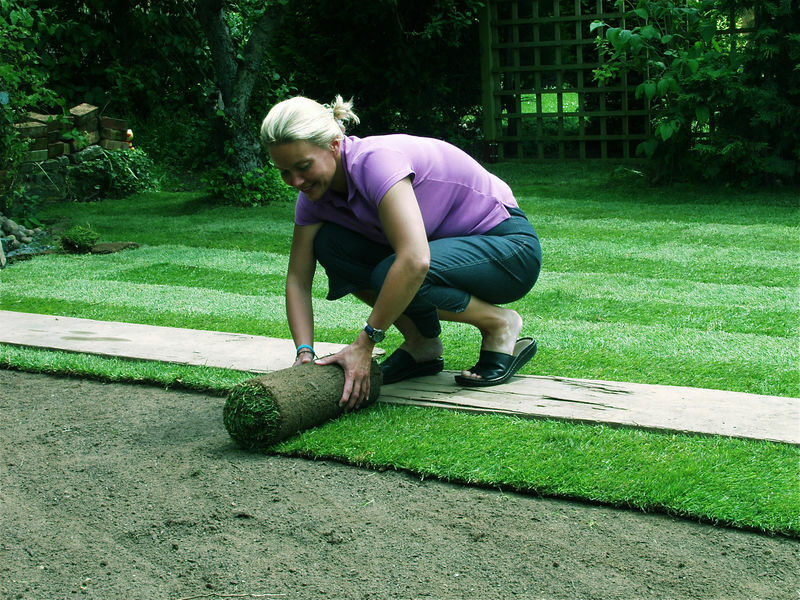 During the first 3 weeks, avoid heavy or concentrated use of your lawn – this will give the turf roots an opportunity to firmly knit with the soil. 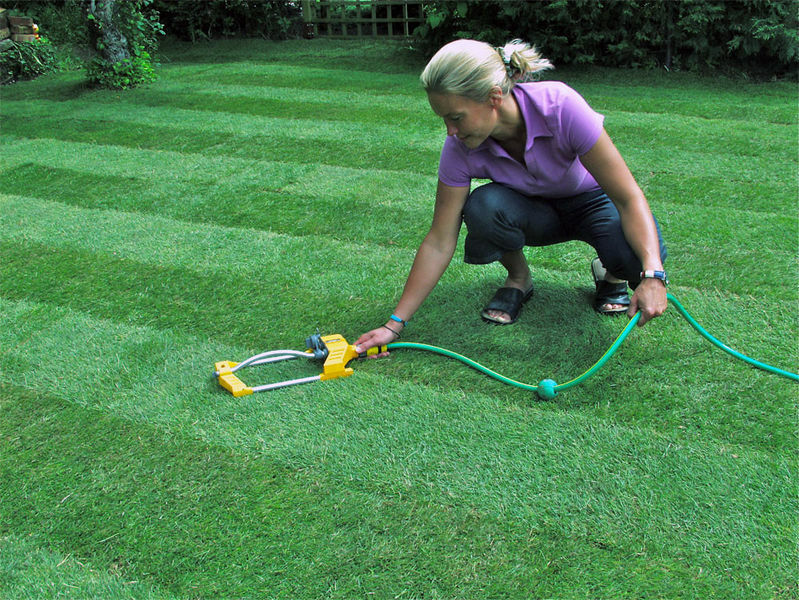 Mow approximately 2 to 3 weeks after laying your new turf during the Spring and Summer seasons. Adjust your mower to its highest setting – it is important that the turf is not cut too short to avoid scalping during establishment. 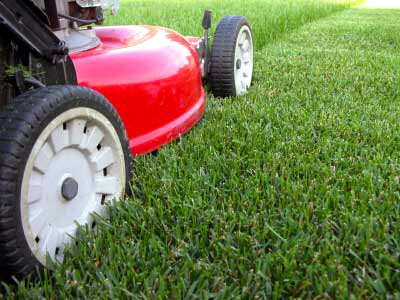 Mow regularly, cutting no more than 1/3rd of the grass height in one mowing. An occasional change of mowing pattern is beneficial. Never use a strimmer. Rolling your lawn to reduce small amounts of unevenness may be beneficial in establishment of your turf. All of the above information is given as a guide but weather conditions and time of year will need to be taken into consideration.